We also invite you to browse our available ship models category which displays all ship models for sale that are in stock and ready for dispatch. All our model ships are finely handcrafted from scratch using the best wood. Decorations and deck details are handmade to the highest detail. It takes hundreds of hours to complete each model, making our model ships highly collectable and timeless pieces of art. 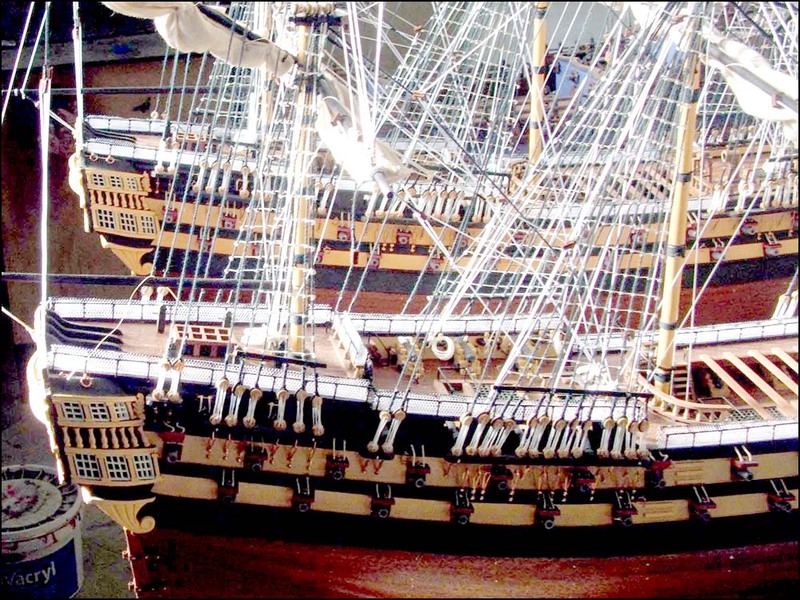 All our ship models come fully built and ready for display. Handcrafted from scratch using a teak plank on frame. Although the ship model is small in size, it is still quite detailed. This small HMS Victory model ship is the best sailing gift for boys interested in naval history. The Bounty is a famous sailing ship in British naval history. This small Bounty model ship is a great gift for boys interested in the Navy. This small Pen Duick yacht model is the best sailing gift for boys and girls who are into sailing. The yacht model is lacquer painted and it takes up little space in the bedroom. If you're looking for a sailing gift for her or for him, this small J Class yacht model will fit the bill. It is lacquer painted and a great nautical decoration for the seaside home. We sell a broad range of sailing yachts from the classic to the J Class type yacht. This is a great gift for sailboat owners. This Endeavour J Class Yacht Model is small and it won't take up a lot of space in the house. We cover a wide range of sailing yachts from the classic to the J Class type yacht.